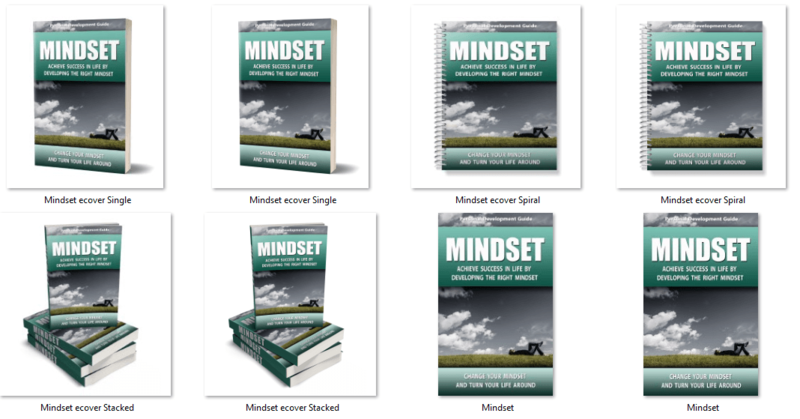 This ‘Conquering Unhealthy Mindsets’ PLR package is by JR Lang. 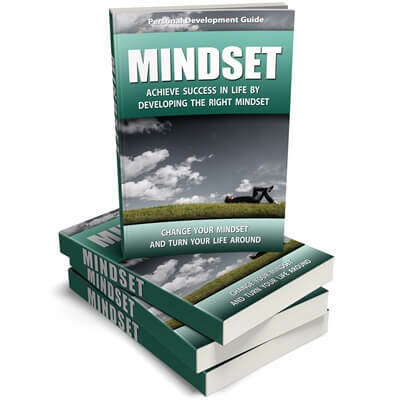 It’s another huge package in the personal development niche, which guides and helps people to overcome a negative mindset and become a positive thinker, which is important for success. Plus, this offer it comes with our bonuses! 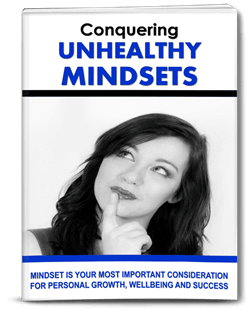 The Conquering Unhealthy Mindsets PLR package is of the highest quality, written with expertise, well researched, and offers information to establish yourself in this niche. 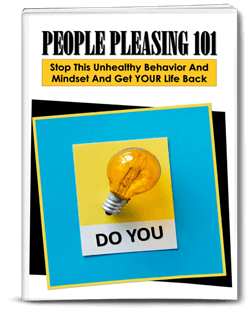 It includes an eBook with sales page, 3 reports with squeeze/opt-in pages, newsletter series, tweets, 30 day challenge, workbooks and articles, editable HD videos, viral images and infographics. Plus, you’ll receive all our bonuses if you purchase through the link below! 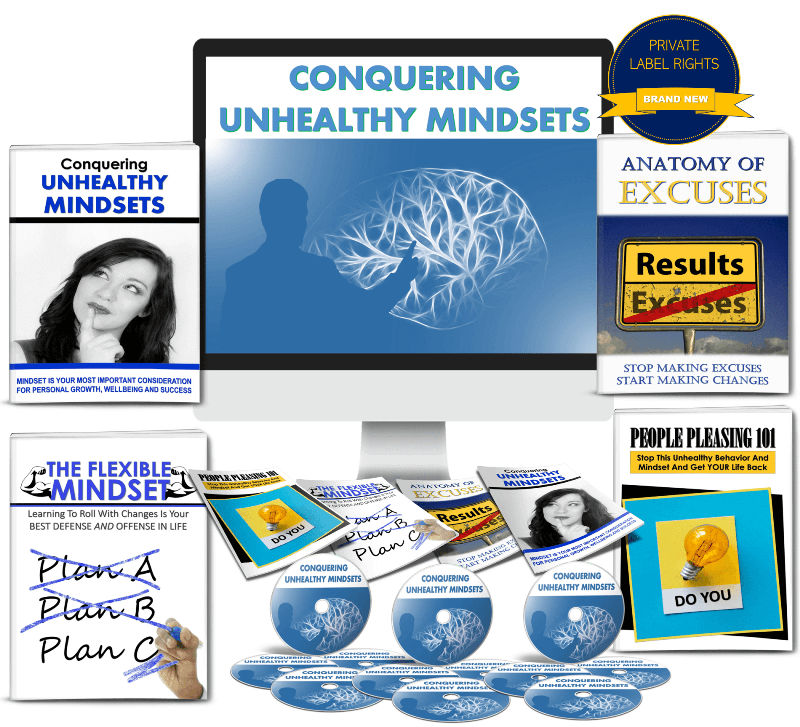 Click HERE for ‘Conquering Unhealthy Mindsets’ PLR + Our BONUSES! Are You Focused Too Much On The Future & Missing Your Now? We’ve got bonuses for JR’s main offer and her upgrade offer which all suit her packages perfectly! We’ve got 3 BIG bonus packages for JR’s main offer. To see them all, keep scrolling! All articles are professionally written and edited! We provide quality content. We know because we packaged it! 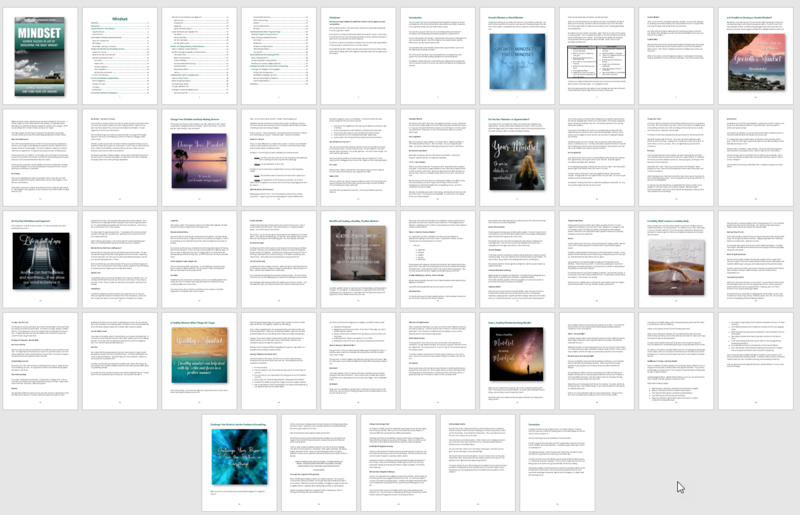 The eBook that has been created from the articles, and is 45 pages, 8,061 words long! It is fully formatted and includes a table of contents with hyperlinked pages, a disclaimer, an introduction and a conclusion. 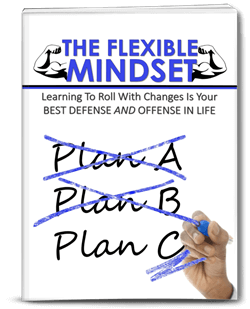 If you don’t want to make any changes, the PDF is ready to go! 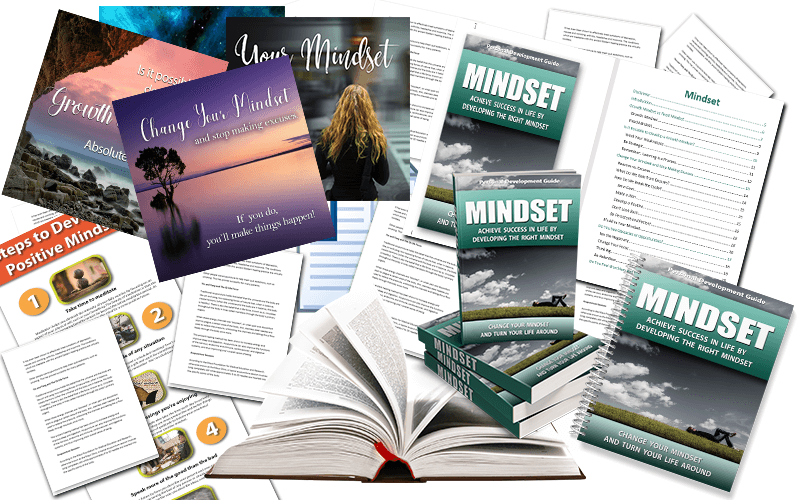 The PLR ebook is also fully illustrated with our beautiful social posters, which are created from royalty free, commercial use images. Social posters get shared and create traffic to your site! You’ll receive 10 social posters, one for each article in this package, plus you’ll receive the PSD files so you can edit them if you so desire. 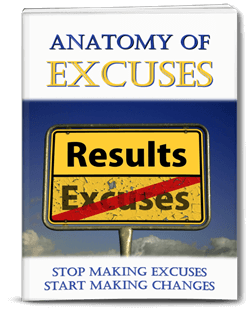 These posters have been used in the eBook and are royalty free, commercial use licensed images. This is a full-size infographic…the types of infographics you expect to see on many health authority websites. Now you can have them too in your monthly package! It has been designed to create 3 more informative infographics! That way you have a chance to use more images in more places! For example, on social media, in your blog posts and of course on both! The full-size infographic measures 1,000px x 9,480px. 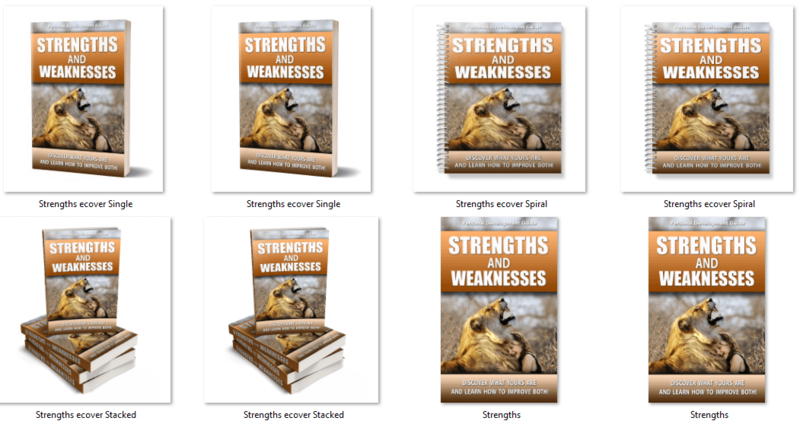 In this package you’ll receive a report and eCover graphics. The report is all new content of course, and is 14 pages, 2,222 words long! It is fully formatted and includes a table of contents with hyperlinked pages, a disclaimer, an introduction and a conclusion. 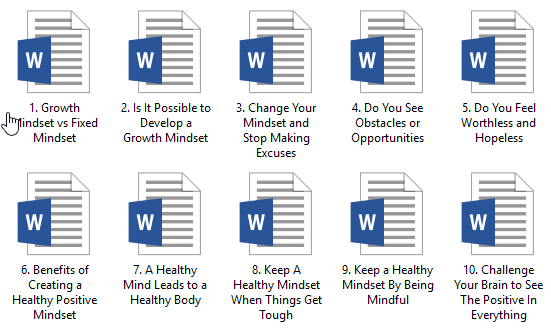 If you don’t want to make any changes, the PDF is ready to go! The report is fully illustrated with royalty free, commercial use images. JR is giving you a pack of articles, so we’ve created 20 social posters to boost your article content with these beautiful graphics! You’ll receive the JPG, PNG and editable PSD files. These posters have been created with royalty free, commercial use licensed images. If you purchase JR’s upgrade offer, you’ll receive another bonus from us! We’ve created more social posters for her next set of articles. You’ll receive ALL the JPG, PNG and PSD files.